In the last few years Dean has performed with numerous groups including the New York Voices, and in special concerts with jazz artists Fred Hirsch, Jane Ira Bloom and Art Lande. He also performs regularly with pipa virtuoso Min Xioa-Fen and guitarist Steve Salerno in the Blue Pipa Trio, performing their eclectic combination of jazz, bluegrass and Chinese folk songs. 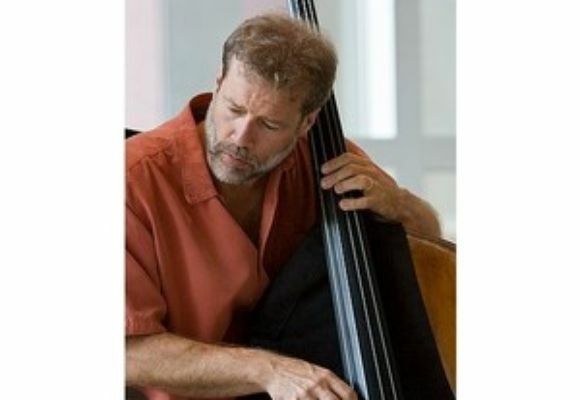 As bassist for vocalist Roseanna Vitro, Dean has performed as a U.S. Jazz Ambassador in the Balkans, Kazahkstan and Kyrgystan, as well as a live recording at the Kennedy Center featuring pianist Kenny Werner, and a recording project celebrating the music of Randy Newman featuring Mark Soskin. He has performed, recorded and toured for over six years with vibraphonist Mark Sherman and a quartet including drummer Tim Horner and pianist Allen Farnham. Dean performed over the last eleven years with vocalist Kendra Shank along with pianist Frank Kimbrough and drummer Tony Moreno. Dean has an ongoing collaborative relationship with saxophonists Bob Kindred & Hayes Greenfield, guitarists Jay Azzolina & Bruce Arnold. Born in Seattle, Washington, in 1956, Dean studied Bass Violin with a number of bassists, including the renowned Gary Peacock. Dean also studied piano and composition at the Cornish Institute, in Seattle, with James Knapp and from 1974 to 1976, attended the Berklee College of Music, in Boston, studying with bassists Rich Appleman, John Neves, and studying theory, composition, and arranging with John LaPorta and Herb Pomeroy. Since arriving in New York, in 1980, Dean has been busy freelancing with a wide variety of artists in the Northeast, and has had the opportunity to travel extensively throughout the United States, Canada, and numerous tours of Europe, Japan, Brazil, Australia, Mexico, and Israel. Some of the eclectic array of artists Dean has been and continues to be involved with over that time include: Dave Liebman, Lee Konitz, Bob Brookmeyer, Randy Brecker, Joe Lovano, Phil Woods, Grover Washington, Dave Grusin, Lew Tabackin, Wynton Marsalis, Steve Kuhn, Dave Samuels, Ron Afiff, Dave Douglas, Paul McCandless, Nguyen Le, Art Lande, Ray Anderson, Walter Norris, Maurizio Giammarco, Bill Mays, Vic Juris, Billy Harper, Art Farmer, Nick Brignola, Ronny Cuber, Rob McConnell, Dave Kikoski, Bill Frisell, Albert Dailey, Mike Metheny, John McNeil, Hayes Greenfield, and Vocalists Sheila Jordan, Jackie and Roy, Mark Murphy, Carol Sloane and Helen Merrill. Gerry Mulligan however is Dean's most prominent association. Dean spent over 10 years with Mr. Mulligan until his passing in 1996 in a variety of musical situations including the Quartet, Nonet, Big Band, and with symphony orchestras, including the Israel Philharmonic, New York Philharmonic and the Cincinnati Symphony Orchestra. Dean performed in these Mulligan ensembles in concerts and jazz festivals all over the world as well as numerous recordings along with a number of well-known pianists that were in the group over that time including Harold Danko, Bill Mays, Bill Charlap, and Ted Rosenthal. Dean has also taught privately for years and has conducted clinics at the Berklee College of Music, New York University, New Mexico State University, University of Northern Colorado, Ithaca College, and at the Rotterdam Conservatory of Music. Prior to coming to New York, Dean lived in Seattle, Washington. On the West coast he worked with a number of different musicians including, Sonny Stitt, Milt Jackson, Eddie "Lockjaw" Davis, Harry "Sweets" Edison, Clifford Jordan, Barry Harris, Ted Curson, Richie Cole, Clark Terry, Buddy Tate, Arnett Cobb, Herb Ellis, Barney Kessel, Tete Montelieu, Terry Gibbs, Bill Mays, Art Lande, Julian Priester, and singers Ernestine Anderson and Mark Murphy.